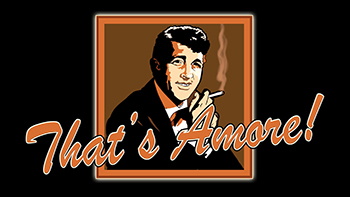 The classic songs and career of Dean Martin are celebrated in "That's Amore!" a fun and highly entertaining show starring Dean Martin tribute artist Matt Helm. Matt brings Dean Martin back to life with the voice, the songs and the look that made this popular entertainer one of the greatest performers of our century. "That's Amore!" will also feature Matt performing the popular songs of associated celebrity entertainers from the Dean Martin TV Show - a salute to the crooners which have come to be known as the Legends of Las Vegas. The Songs of Sinatra, Sammy and even Tony Bennett will take center stage along with Dean Martin favorites.